Summer is here, which means that some of us are about to embark on vacations to escape our fast-paced lives and get some much-needed R&R. While I love traveling (even though a lot of it is for work! ), there is one thing I am very bad at: waiting. And unfortunately for me, there’s a lot of waiting when traveling. So when I encounter the extremely first-world problem of having to wait and entertain myself, I typically reach for my Kindle Fire to do some much overdue reading. Recently, I encountered a situation in which my entertainment plan failed me. The hotel where I was staying lost all power — no TV, no Wi-Fi … I couldn’t even turn a light on in my room. Naturally, the first thing that went through my mind was, “Great, what am I going to do now?” I had already finished the book I was reading on my Kindle, and with no Wi-Fi in the hotel, I couldn’t stream TV. I certainly didn’t want to waste any of the 15 percent battery life I had left on my phone. Thankfully, I remembered transferring recordings from my Hopper 3’s DVR to my HopperGO before I left for the airport. Score! You’ve gotta love when technology comes through for you in your time of need. 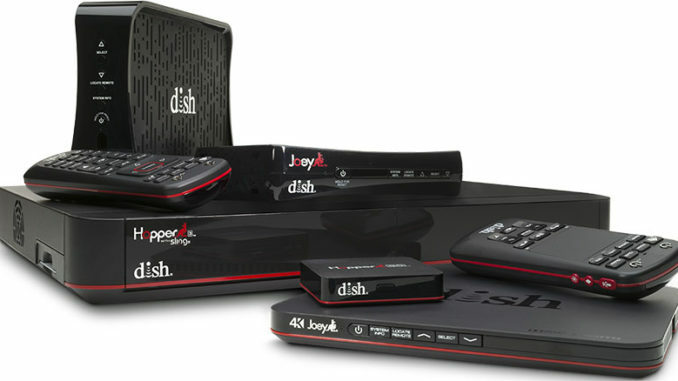 If you don’t know about the HopperGO, it’s DISH’s media storage device that lets you transfer recordings from your internet-connected Hopper With Sling or Hopper 3, and then watch shows on your mobile device using the DISH Anywhere app or dishanywhere.com. The next morning, I got to thinking more about how useful the HopperGO could be. For example, when you are doing my favorite task of waiting, such as in the airport, doctor’s office, auto repair shop, etc., the HopperGO could really help pass the time by letting you watch your favorite shows. Since five devices can be connected to the HopperGO at any one time, I can also see parents using it on long plane rides or car trips to entertain all of their kiddos for hours. Really, the HopperGO is just a great way to keep customers connected to the TV service they love. I know I will be using it this summer — no matter where my travels take me! To learn more about the HopperGO, visit mydish.com/hoppergo, or for help setting up your HopperGO, visit mydish.com/support or youtube.com/user/dish to view a step-by-step video.